0-4-2ST 3 Sir Haydn back home on the Corris Railway on 3 June 2012. 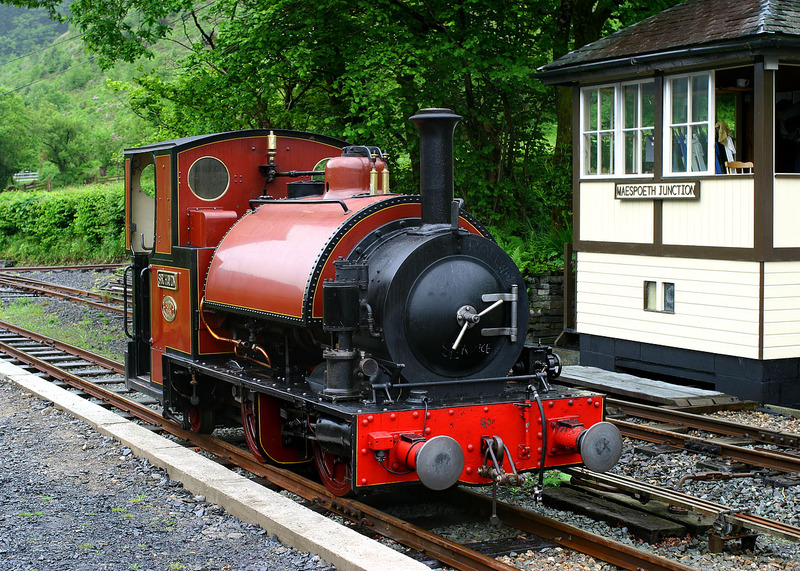 Although unable to run as its boiler certificate has expired, the former Corris Railway locomotive is a star attraction on the line, which it left in 1951 for a second life on the Talyllyn Railway. Although in need of much work, the Talyllyn obviously got a bargain, as it only cost them £25! That was cheap even in the 1950s. It is pictured standing beside the reconstructed Maespoeth Junction signal box.